Free information on estate planning in and around the Los Angeles & Orange County areas. Need further assistance? We offer free consultations on your case. Archive by category "Estate Planning"
Do I need a Federal Tax Identification Number for my Revocable (Living) Trust or Irrevocable Trust? 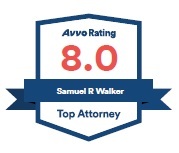 Learn more about how the law offices of attorney Sam Walker can be of assistance to your case with a free consultation.